The music has exemplary qualities and the performances shine. Ms. Shaham has arrived with a bang-up flourish. This is music not to miss! ...Played continuously without pause, the 26-minute Stumble begins with a celesta lullaby and ends in the throes of an exhilarating triple fugue which includes in its midst what Mackey describes as 'thevarious stages of progress and regress in the physical and spiritual evolution of the piano.' And yet, for all the size and complexity of Mackey's impressive musical engine, the lasting impress is of authentic affection and love. ‘…she [Orli] superbly performs a couple more familiar works, “Hallelujah Junction” and “China Gate,” that exemplify why John Adams is among the most popular of living composers for both musicians and audiences’. 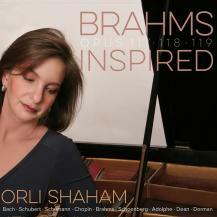 A consummate musician recognized for her grace, subtlety and vitality, Orli Shaham has established an impressive international reputation as one of today's most gifted pianists. Hailed by critics on four continents, Ms. Shaham is in demand for her prodigious skills and admired for her interpretations of both standard and modern repertoire. The Chicago Tribune recently referred to her as “a first-rate Mozartean” in a performance with the Chicago Symphony, and London's Guardian said Ms. Shaham's playing was "perfection" during her recent Proms debut with the BBC Symphony Orchestra. Orli Shaham has performed with the Boston, Cleveland, and Philadelphia Orchestras, the Baltimore, Chicago, Detroit, Houston, St. Louis, San Francisco, Seattle, San Diego and Utah Symphonies, the Los Angeles Philharmonic, the BBC Symphony Orchestra, Filarmonica della Scala, Israel Philharmonic Orchestra, Stockholm Philharmonic, Bilbao Symphony, Orchestra della Toscana, Orchestre National de Lyon, Taiwan Philharmonic, Sydney Symphony Orchestra and the Malaysian Philharmonic. A frequent guest at summer festivals, she has performed at Tanglewood, Ravinia, Verbier, Mostly Mozart, Aspen, Caramoor, Spoleto, Bravo Vail, Music Academy of the West, Orcas Island, Amelia Island, Peninsula, and Sun Valley music festivals. Ms. Shaham has given recitals in North America, Europe and Asia at such renowned concert halls as Carnegie Hall, The Kennedy Center, Amsterdam's Concertgebouw, Frankfurt's Alte Oper, and the Herkulessaal in Munich, and has worked with many eminent conductors including Sir Neville Marriner, Sir Roger Norrington, Christopher Hogwood, David Robertson, Wolfgang Sawallisch, Leonard Slatkin, Robert Spano, Gerard Schwarz, and Jacque Lacombe among others. Highlights of Orli Shaham’s international performance schedule in 2013-2014 include the regional premiere of Stumble to Grace, a piano concerto written for her by the acclaimed American composer Steven Mackey and hailed by critics as a “tour de force,” with the Cincinnati Symphony Orchestra. Ms. Shaham also performs Mozart’s Piano Concerto No. 20 with the Florida Orchestra conducted by Michael Francis as well as Rachmaninoff’s Piano Concerto No. 2 with the Winston-Salem Orchestra, Robert Moody conducting, and Beethoven’s 4th Piano Concerto with the Portland Symphony Orchestra in Maine. She will also team up with pianist Igal Kesselman for a performance of Mozart’s Concerto in E flat for Two Pianos with the Vancouver Symphony Orchestra and conductor Salvador Brotons. Summer performances include the Aspen Music Festival and the Sun Valley Idaho Summer Symphony. In addition, Ms. Shaham celebrates her fifth season as curator and performer in Pacific Symphony’s chamber music series in Costa Mesa, California. Orli Shaham’s highly acclaimed (Wall Street Journal, New York Magazine, NPR.org) classical concert series for young children, Baby Got Bach, is in its fourth season. The popular series continues in New York City where it is presented by the 92nd Street Y, and has expanded to venues in St. Louis and Aspen. Designed for preschoolers, Baby Got Bach provides hands-on activities with musical instruments, and concepts and concert performances that promote good listening skills. In 2013, Orli Shaham released a CD Nigunim - Hebrew Melodies (Canary Classics) recorded with her brother, the violinist Gil Shaham. Featured on the recording is a new work by the Israeli-American composer Avner Dorman commissioned by the Shahams and the 92nd Street Y in New York. 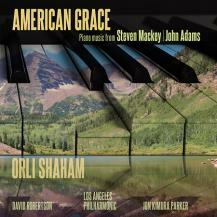 In 2013-14, Ms. Shaham releases two new recordings: one featuring the world premiere recording of Steve Mackey’s Stumble to Grace with the Los Angeles Philharmonic conducted by David Robertson scheduled for release in March 2014, and a solo disc of music by and inspired by Brahms scheduled for a winter 2014 release. Ms. Shaham’s other recent recordings include the Brahms Horn Trio and Schubert’s lied Auf dem Strom (Albany) featuring the acclaimed principal French hornist of the Cleveland Orchestra, Richard King; and Saint-Saens’ Carnival of the Animals with the pianist Jon Kimura Parker and the San Diego Symphony. Ms. Shaham's recent highlights include her Proms debut with the BBC Symphony Orchestra at Royal Albert Hall, her debut with the Malaysian Philharmonic led by Claus Petr Flor and a special appearance at New York's Carnegie Hall where she performed Brahms F minor piano sonata and the F-A-E Sonata with violinist Gil Shaham, and the west and east coast premieres of Steve Mackey’s piano concerto Stumble to Grace. Of her performance of Mozart’s Double Concerto with Emanuel Ax and the Chicago Symphony, the Chicago Tribune wrote “…she showed herself to be a first-rate Mozartean, combining a crisp keyboard touch with an uncommonly nuanced approach to tone and phrase.” Her performance with the Boston Symphony Orchestra was praised by critic Matthew Guerrieri: “Orli Shaham gave a superb account of the solo piano part, with deep color and fine details,” and the Winnipeg Free Press declared Ms. Shaham’s piano skills “almost too good to be true.” Orli Shaham has returned to Australia again and again in recent seasons, where she has performed a wide variety of composers, including Mozart which she conducts from the keyboard. Driven by a passion to bring classical music to new audiences, Orli Shaham maintains an active parallel career as a respected broadcaster, music writer and lecturer. In 2005, she began collaboration with Classical Public Radio Network as the host of "Dial-a-Musician," a feature she created especially for the radio network. The concept of the program was to enhance listeners' experiences of music and musicians. During the feature she directed listeners' questions about classical music to fellow musicians -by literally dialing them up for the correct answer. Her program hosted over 60 guests including composer John Adams, pianists Emanuel Ax and Yefim Bronfman, Emerson String Quartet violinist Philip Setzer and cellist David Finckel, and sopranos Natalie Dessay and Christine Brewer. Orli Shaham has taught music literature at Columbia University, and contributed articles to Piano Today, Symphony and Playbill magazines and NPR’s Deceptive Cadence blog. Ms. Shaham has served as artist in residence on National Public Radio’s Performance Today. 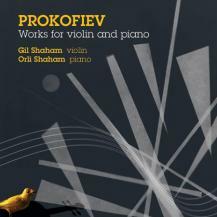 In addition to Nigunim, their recording of Jewish music, Orli Shaham and her older brother Gil have collaborated on several recordings including a Deutsche Grammophon recording entitled Dvorák for Two, and an all-Prokofiev disc The Prokofiev Album on Canary Classics, ("As fine a recording of the violin and piano music of Prokofiev as has ever been made by one of the finest violinist and pianist teams of the last ten years." Barnes&Noble.com). 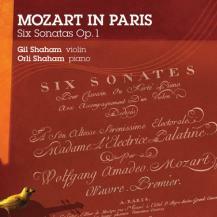 Their recent recording, Mozart in Paris, features Mozart Violin Sonatas, and is available on CD from Canary Classics. When performing this recorded repertoire live, critics have praised the glorious "sibling revelry" (The Plain Dealer)--musical chemistry, nourished by shared family history and a comfortable give-and-take. Orli Shaham was recognized early for her prodigious talents. She received her first scholarship for musical study from the America-Israel Cultural Foundation at age five to study with Luisa Yoffe at the Rubin Academy of Music in Jerusalem. By age seven, she traveled to New York with her family to begin study with Nancy Stessin, and became a scholarship student of Herbert Stessin at The Juilliard School a year later. She has also won the Gilmore Young Artist Award and the Avery Fisher Career Grant, two prestigious prizes given to further the development of outstanding talent. 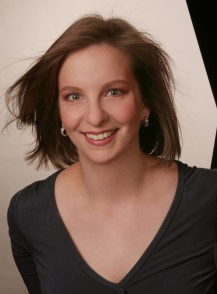 In addition to her musical education, Orli Shaham holds a degree in history from Columbia University. Orli Shaham lives in New York and St. Louis with her husband, conductor David Robertson, stepsons Peter and Jonathan, and twins Nathan and Alex.